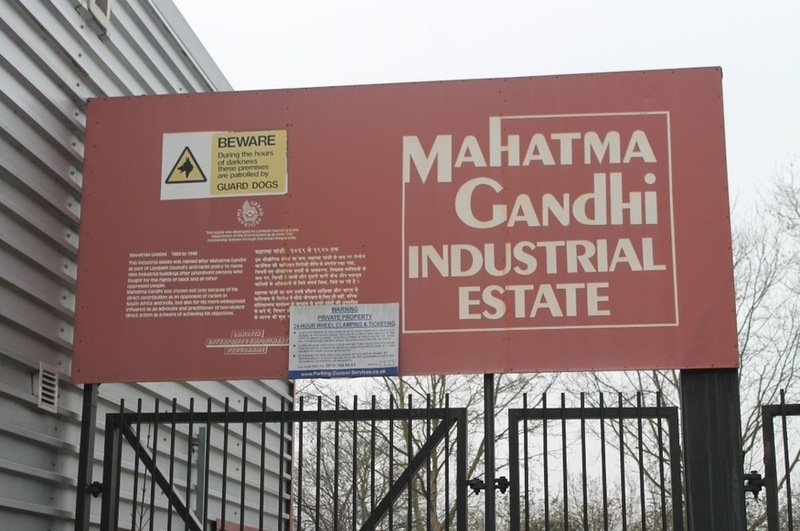 Why Is There A Mahatma Gandhi Industrial Estate In South London? Will Noble Why Is There A Mahatma Gandhi Industrial Estate In South London? Most people will do a double take the first time they walk past it. But sure enough, there it is: 'Mahatma Gandhi Industrial Estate' reads the sign on Milkwood Road, Herne Hill — in the kind of font you'd usually see on the front of a takeaway menu. It's made all the more surreal with its peppering of caveats about guard dogs and 24 hour wheel clamping regulations. Gandhi's ties with London are well documented. He came here in 1888 to study law at University College London, along the way frequenting its veggie restaurants and fostering an interest in religion for the first time. But what does the leader of the Indian independence movement have in common with an industrial estate in an affluent enclave of Lambeth, that's home to a car wash service, meat wholesalers and bus company? The short answer is: he doesn't. There is no record of Gandhi coming to Herne Hill, and even though it's possible he ventured here during his studies abroad, his presence in this region certainly didn't have a lasting impact. "The name of the estate has no local connections," says Piper "but post-1981 Lambeth Council became aware that it was doing little to acknowledge its ethnic minorities and launched a process of naming new buildings or features to commemorate African, Caribbean or Asian figures. "In Brixton this included Max Roach Park on the east side of Brixton Road, and Sisulu Place for one of its last housing developments nearby." Edd Rowe, geographic and property information officer at Lambeth council agrees: "The council was going through a phase of wanting to acknowledge international figures particularly those with BME backgrounds. Other examples from around the same time would be Bob Marley Way or Mary Seacole House, or on a more local level Olive Morris House." So no Gandhi links then. But to its credit, the industrial estate was opened by the then Indian high commissioner, Dr PC Alexander. And it has to be one of the most memorable names for an industrial estate anywhere. As for the industrial estate's address, Milkwood Road; that name is thought to derive from 'spring or stream with chalky water'. 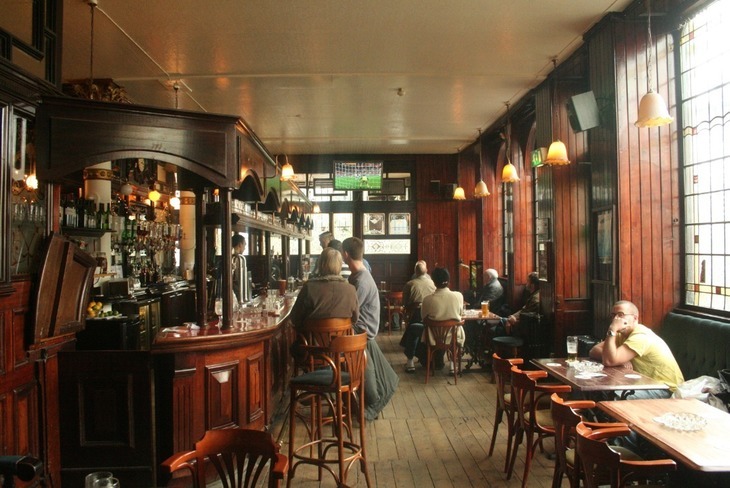 But it's also known that a certain Dylan Thomas used to stay with a friend in a house on this road, when he came to watch rugby, and booze at the nearby Half Moon. Many believe that consciously or otherwise, this must have inspired the title of Thomas's magnum opus. Branching off Milkwood Road into one of the industrial estate's entrances is Dylan Road, surely a nod to the area's connection with the great Welsh writer. We wonder what the teetotal Gandhi would have made of his dipsomaniac peer.